Each year thousands of junior and senior high school students across the nation undertake science projects. Many students look for a simple project that they can do quickly to satisfy a class requirement. provide an opportunity to apply scientific methodology in seeking answers to a problem. It is for this latter group of students that the textbooks and pamphlets presented on this website were written. Teachers may also find the textbooks useful for their classrooms. Look for them on Amazon, Barnes & Noble, and Kobo. 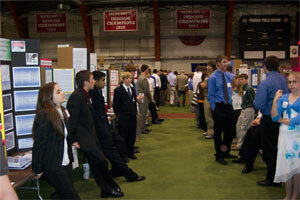 Does Your School Participate in Science Fairs? "If you are a teacher who wants to improve your skills and the skills of your students planning to present at local science fairs, then Richard Neuhaus's Science Project series is a great starting point." © 2018 Gormley Publishing. All rights reserved.